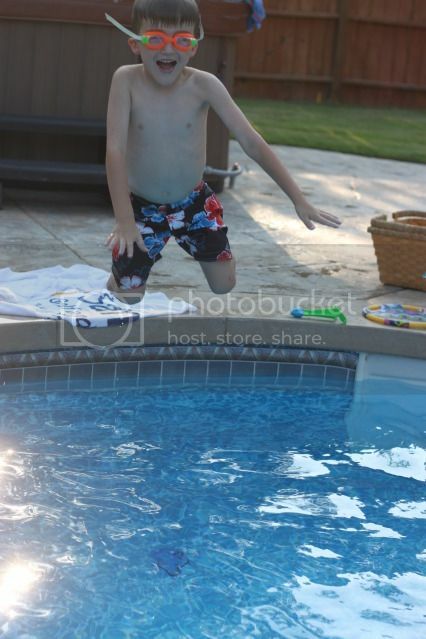 Nathan spent the weekend poolside in Hope, perfecting his jumping style and swimming in the deep end. This kid is a total fish. 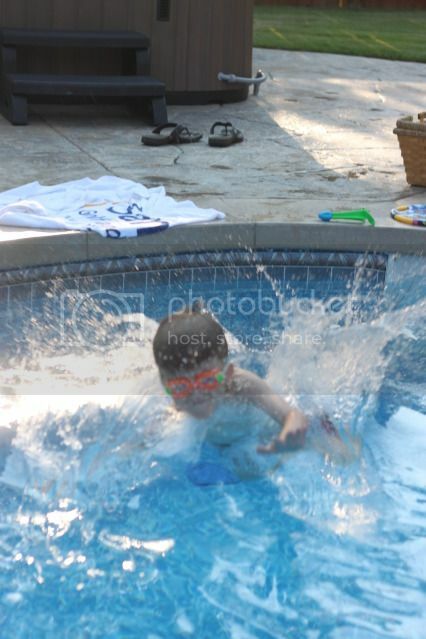 With his bright orange goggles magnifiying his big brown eyes, he swims as deep as he can and then relaxes as his body slowly floats to the surface. 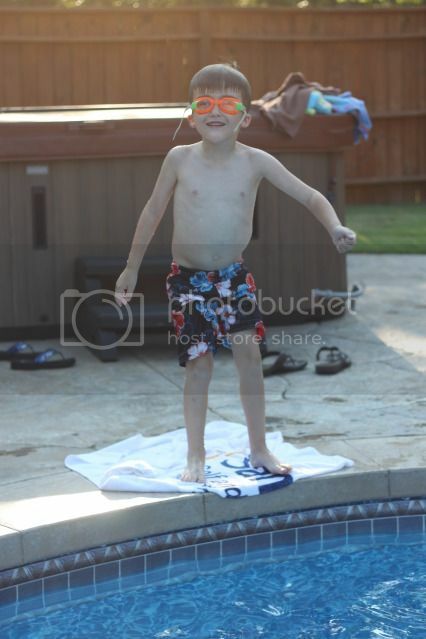 He has figured out how to use his arms to actually propel himself and he made his diving board debut a few days ago. He's becoming more independent by the day and occasionally, this isn't a good thing. Afternoon pool time after early morning church easily lends itself to *ahem* fits. 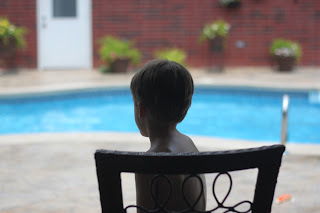 There's nothing like a strategically located time-out chair, is there? We sure hope your weekend was filled with just as much water and sunshine and a lot less tears. :) Wish us luck as we embark on family vacation number two tomorrow. We are headed to St. Louis with Nana and Grampa and hopefully we leave the temper tantrums in Arkansas!